From traditional pin-pad or proximity card swipe systems to cutting-edge biometric security devices, Houle can help manage ingress and egress from your facility. Houle offers wired and wireless bed occupancy sensors which are stand-alone alarm systems that provide alarm indication whenever a patient or resident exits their bed or chair. Houle offers solutions for clinical camera monitoring, including specialized solutions for interview room monitoring/recording for clinical applications. Houle offers smart-room dementia monitoring which includes installing passive sensors in a dementia resident’s suite that passively monitors the person’s behaviors and automatically alerts care staff when the system detects abnormal behaviors. Houle non-intrusive infant protection system involves small discreet tags worn on an infant’s wrist, ankle, or umbilical cord clamp that continually monitor the infant’s whereabouts, generating automated alerts if an admitted infant is taken outside of a protected zone. Houle designs, supplies, and installs hands-free intercom systems that can be your critical link between departments. Houle can select, design, and develop of Custom off the Shelf and customized integration and reporting solutions to help you gather data; information that can improve your facility's operational efficiencies. Houle’s nurse call solutions enable patients to alert staff for assistance in healthcare facilities and for staff to communicate amongst themselves. Houle designs, supplies, and installs paging, music, and audio visual systems for your facility so you can communicate with your residents and staff, and provide audio and visual stimulation for tenants. Houle can protect your employees and visitors from assault or other hazards with our wired or wireless emergency duress systems. When an emergency occurs, a simple push of the panic alarm notifies others of the situation. Houle offers custom-designed modern entertainment control systems that encompasses technologies such as television, video on demand, games, radio, Internet, messaging, and information pages. At Houle, we offer solutions that enable you to place active or passive tags on equipment and people to track their locations inside or outside buildings. Houle can help you set up a Telehealth location in your office or community so that you can use live two-way videoconferencing and supported technologies to connect patients and health professionals in remote and distant communities. Houle solutions ranges from traditional analog and digital telephone systems to Hybrid VoIP/SIP, digital and analog systems including wired and wireless telephones. Houle offers text messaging solutions that enable you to compose and send secure electronic messages from your smart phone, tablet, or fixed device. With Houle's video surveillance system, you can monitor activity in your facility using closed-circuit television (CCTV) cameras. Houle’s network design experts can help you with initial design, layout, and testing, through to the supply, installation, and final commissioning survey of your facility network. Houle's wander prevention solution alerts your staff immediately if patients or residents try to leave the facility or wander into restricted areas. With Houle’s workflow solutions, we can help you enhance clinical workflows and reduce paperwork through seamless integration and process and document automation. The patented VidaShield system uses proven UV-C and filtration to draw in and treat environmental air. It unobtrusively reduces the populations of bacteria and fungi, and the settlement of viable bacteria and fungi in treated air. Houle performs the full breadth of structured cabling services and offer customized designs for CAT 5e, CAT 6, CAT 6A, and fibre optics. Houle can upgrade, replace, and/or install an existing or new fire alarm system at your facility. From transformers to uninterruptible power supplies (UPS), generators to load banks, the team at Houle can help protect and manage the power within your facility. Houle can design a lighting scheme that automatically turns on and off based on motion sensor activation and/or set scheduling. Features can include daylight harvesting, occupancy and vacancy detection, shade control, scheduling, scene control, energy monitoring, and remote access. Houle supplies and installs motion sensors, glassbreak sensors, door contacts, and beam detectors, so you can protect your most valuable assets. Equipping you with technological solutions to improve patient care. Providing quality care for short-term and long-term patients can result in happier, healthier patients. As your multiple, integrated systems provider, Houle offers tailored solutions for your acute or long-term care facility. With Houle’s many divisions, which include electrical, power monitoring, building automation and HVAC controls, networks, integrated security, and service, you can rest assured that we have the products and solutions that you are looking for. 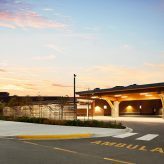 To help improve collaboration among various different integrated building systems, Houle maintains in-house expertise for total systems integration and security for your facility. Maintain a security level that is safe and secure for your residents, staff, and guests through open controlled access during visiting hours and restrictive access during all other hours, allowing your residents and staff to come and go as needed. Houle offers solutions that enable you to set access to your facility during specified times, control and monitor all entry points, manage and track visitors within your facility, run custom reports to determine who accessed what area and when, and incorporate any number of buildings into one consolidated entity for system management and oversight. Our expertise does not stop there. As experts in system integration, we can interface your access control system with other systems, including video surveillance, intrusion alarm, door and key management systems, and even specialized custom interfaces such as Microsoft Active Directory Service Interfaces. The best way to stop falls and accidents are by preventing it from occurring in the first place. Houle installs bed occupancy sensors which are stand-alone alarm systems that provide alarm indication whenever a patient or resident exits their bed or chair. These sensors are very useful when caring for elderly residents in extended care facilities, providing early warning to care staff to help prevent patient/resident falls and injuries. Our solutions include wired and wireless sensors for various applications, along with various sensing technologies including ultrasonic, air-pressure mats, and light-pressure mats. Houle’s team of professionals will work with you to select a sensor type that is maintainable and compatible with your nurse call, emergency call, wireless duress, and/or dementia monitoring system(s). Houle also offers various personal fall detection sensor solutions to help detect falls and immediately alert caregivers when a potential fall has occurred. Video cameras are often used in healthcare environments to monitor and supervise patients in seclusion rooms or to assist in clinical analysis. These systems often require high definition cameras and often use voice monitoring and even recording. Houle offers solutions for clinical camera monitoring, including specialized solutions for interview room monitoring/recording for clinical applications. Our clinical recording systems have special features to ensure patient privacy and confidentiality. Recorded systems may be securely stored with access only to specific clinicians or safely exported and removed from the common recording system to ensure patient privacy is maintained. Our solutions also enable clinicians and therapists to log notes and case information with the recordings. Traditional nurse call systems are often abused by dementia or Alzheimer patients and residents in long-term care facilities. Reduce alarm fatigue by only responding to alerts that truly require assistance. At Houle, we offer options for smart-room dementia monitoring which includes passive sensors in a dementia resident’s suite that passively monitors the person’s behaviors and automatically alerts care staff when the system detects abnormal behaviors. We can also enhance patients’/residents’ lives by installing automated light cueing to dementia monitoring rooms that provide a trigger to residents to use the washroom when leaving their bed in the evening. Whether you are looking for a traditional nurse call system, dementia monitoring system, or a hybrid system, our healthcare experts can tailor a solution for your facility’s requirements. Entertainment and information displays in waiting areas and lounges can help distract, entertain, and inform your patients and visitors. Houle’s digital signage solutions enable you to display visitor information with or without advertising for generating additional revenue in an extended care facility or for incorporating interactive wayfinding panels in larger hospital environments to help people navigate around the facility. 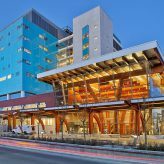 From enhancing your hospital’s information technology infrastructure to supporting all your healthcare applications and technologies, Houle’s qualified team of RCDDs, project managers, and manufacturer certified technicians will work together to offer customized solutions for all your fibre optic and structured cabling needs. We perform the full breadth of network services, offering customized designs for CAT 5e, CAT 6, CAT 6A, and fibre optics. Houle can upgrade, replace, and/or install an existing or new fire alarm system at your healthcare facility. In addition to paying particular attention to infectious control measures, we will complete the project without disruption to daily hospital operations and without compromise for fire safety levels and other vulnerabilities. “The team at Houle was very knowledgeable about the fire alarm system they installed for us. 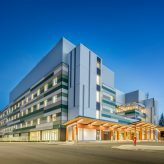 More importantly, we were pleased with their ability to accommodate the many complexities and sensitivities of our operating hospital.” Ron Bouveur, Project Foreman, Facilities Maintenance & Operations, Vancouver Island Health Authority. Breathing quality indoor air is critical for good health. Investing in a quality heating, ventilation, and air conditioning (HVAC) system can help improve air quality in your facility by constantly exchanging the indoor air with fresh, outdoor air that is also filtered for the best quality possible. Houle can minimize your energy consumption through demand control ventilation strategies, ensuring you get the most from your HVAC system. Our team of trained estimators, project managers, system designers, and field technicians can help you reduce your utility bills to improve your bottom line and help protect global resources. Protect newborns and infants from abduction attempts during the critical time period between birth and departure. At Houle, we can help you select and design an infant protection system for your hospital maternity and pediatrics departments. Our non-intrusive infant protection systems provide always-on monitoring of small children to ensure that they remain within the confines of the area/zone where they should be. Small discreet tags worn on an infant’s wrist, ankle, or umbilical cord clamp (specialized tags) continually monitor the infant’s whereabouts, generating automated alerts if an admitted infant is taken outside of a protected zone. All our infant protection tags are fully supervised to ensure that the system is always operating when it is needed most. Devices with batteries also include battery supervision to provide an extra level of monitoring. Special locks may also be used to automatically lock-down a zone when the threat of an infant abduction occurs. Communication is critical in saving lives. A good staff-to-staff communication interface that enables staff to relay critical pieces of information can help to save lives. At Houle, we design, supply, and install hands-free intercom systems that can be your critical link between departments such as emergency, surgery, radiology, and the laboratory. We can integrate your intercom system with your general or local paging system for a seamless system. With more and more IP-enabled devices being used every day, you need proper integration, reporting, and analytic solutions to gather and analyze all the data being provided by these devices. This can help you improve your operations and boost your bottom line. At Houle, we have experience in the selection, design, and development of Custom off the Shelf (COTS) and customized integration and reporting solutions to help you gather data and use the information for improving facility and operational efficiencies. Our IoHT solutions can integrate everything, engaging people on any device for better patient care. Protect your people. Secure your property. Add a layer of defence. Whether you are looking for motion sensors, glassbreak sensors, door contacts, and/or beam detectors, Houle’s security consultants will work with you to provide specialty sensors to protect your most valuable assets, your residents and staff. With our intrusion detection and monitoring solutions, you can have the peace of mind knowing your residents and staff are being protected from outside intrusion. From special computer monitoring to real-time locating systems, we are certified to supply and install various alarm systems. In addition to installing your system, we also provide ULC Intrusion Monitoring. When residents in long-term care facilities are in their own rooms unattended, the probability of them falling from their beds trying to turn on hard-to-reach light switches increase. Houle can help you design a lighting scheme that automatically turns on and off based on motion sensor activation and/or set scheduling. Houle offers both standalone and integrated solutions. With an integrated solution, your lighting control system is integrated with your HVAC, security, and/or building management system. Having one front-end user interface provides ease of use and improved operations. Whether you are looking for a standalone or integrated lighting, centralized or distributed lighting, we provide solutions based on the latest technologies available in the marketplace. Our experienced team of designers, project managers, and technicians has the skillsets to design, install, and service all your lighting control needs. From patient-to-staff and staff-to-staff communications, Houle’s nurse call solutions enable patients to alert staff for assistance in healthcare facilities and for staff to communicate amongst themselves. We supply and install comprehensive nurse call systems that include a simplified head-end, wall or desk mounted universal consoles, configurable touch-screen staff terminals with alarm and workflow management, versatile patient stations, a variety of peripheral stations including anti-microbial push button and pull cords, and configurable dome lights for visual notifications for patient/resident rooms. As a full systems integrator, Houle can integrate your nurse call system with other control systems including dementia monitoring, bed exit prevention and fall alert, infant protection, wander prevention, room lighting and blinds control, and patient entertainment/education controls, giving your patients or residents greater control of their environment. We can also integrate nurse call events with staff mobile devices such as pagers, phones, and messaging tags. 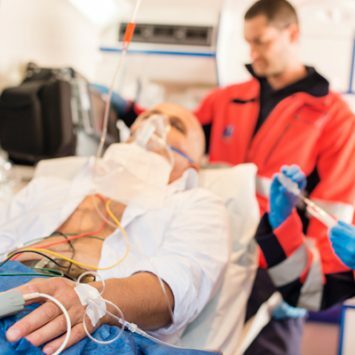 Healthcare professionals are more likely to be attacked on the job than any other service professional. Protecting the safety and security of your staff is extremely important. Not only does it improve work moral, it also ensures that care staff aren’t distracted by the stress of their personal safety. Houle offers wired and even wireless emergency duress systems that can protect staff from assault or other hazards. When an emergency occurs, a simple push of the panic alarm instantly notifies the appropriate responders the identity of the staff member needing help and the precise location of the emergency situation. From communicating with your residents and staff to providing audio and visual stimulation for tenants, Houle designs, supplies, and installs paging, music, and audio visual systems for your facility. Beyond the basic paging application, Houle offers powerful paging solutions which include the ability to pre-record music, tones, or messages for automation of routine events and audio reminders sent to zoned speakers to remind staff of routine patient procedures. Our paging or audio system solutions can sound out music at your care facility, acting as a form of therapy for your patients. Houle also provides visual technological systems such as television, video on demand, and Internet, keeping patients busy, entertained, and connected to family and friends. Simple distractions from a quality patient entertainment system can keep patients busy, entertained, and connected to family and friends, leading to happier, healthier patients. Houle provides custom-designed modern entertainment control systems that encompasses technologies such as television, video on demand, games, radio, Internet, messaging, and information pages. We can help you transform the traditional patient bedside television to an interactive entertainment, education, communication, and care delivery hub. We can also install entertainment controls that incorporate bedside pillow speakers with room lighting and motorized blind controls. From enabling your patients to stay social through apps like Facebook and Twitter, to providing informational on-screen programs to educate your patients, our team will work closely with you and your facility operators to design and develop a custom system to manage all your patient entertainment requests. Transformers, uninterruptible power supply, generators, and load banks. Transformers – Protecting patients and staff from electrical shock is important. Houle can alleviate these concerns at your facility by upgrading or installing medical graded transformers in your healthcare facility. The transformers we supply and install abides by rigid safety rules and guidelines and can be used in hospitals, biomedical fields, and patient care areas. Uninterruptible Power Supply – You can’t control the power delivered from your grid to your facility, however you can protect and manage the power within your facility. Houle can supply, install, test, and maintain your facilities Uninterruptible Power Supply (UPS), providing immediate backup emergency power to a load when the input power source or main power fails and before the backup generators come online. Generators – Power is vital in healthcare facilities; it keeps life support machines and other necessary healthcare tools needed to sustain human life working and operational. Houle supplies and installs backup generators that will automatically start-up in within seconds, in the event of an outage, powering all your facility’s equipment. Houle can further protect your facility with the supply and install of load banks. Load Banks – Power outages in healthcare facilities can put patients’ lives at risk. Even with emergency backup generators that turn on when the facility loses grid power, this can lead to equipment failure if the generators are affected by operational problems. Additionally, emergency generators need to be tested regularly at full load which a regular hospital cannot provide. Houle can supply and install load banks for your facility, which is a device that generates a prescribed amount of electricity draw to test the reliability of electrical switching, generator output, uninterruptable power supply (UPS) systems, and cooling in a data centre. Location can play a critical role in your healthcare business decisions. At Houle, we provide visibility into the location of your equipment, staff, and patients so you can improve your healthcare facility’s business processes, enhance resource utilization, and optimize healthcare workflow. Many RTLS systems are not able to differentiate between objects, walls, and floors and often locate equipment on the wrong floor or in the wrong room, only providing the “relative location” of a tag within an approximate area. We offer “relevant location” solutions where you can locate precisely where a tag is located. Since not all systems are suitable for all applications, our knowledgeable team can help you select the best solution for each application, taking into consideration what user interface and integration options exist. 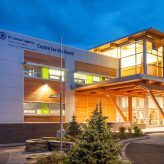 Telehealth is the use of live two-way videoconferencing and supported technologies over a secure and private high-speed provincial network to connect patients and health professionals in remote and distant communities across the country. Specialists can use videoconferencing software in their office computers or room-based equipment to deliver services to patients who are far away. Houle can help you set up a Telehealth location in your office or community. Our team, who has years of experience installing videoconferencing systems, can design and install a system that will enable your patients to have greater access to care and to receive care closer to home, reducing travel time and expenses. From traditional analog and digital telephone systems to Hybrid VoIP/SIP, digital and analog systems including wired and wireless telephones, Houle offers solutions suitable for your facility. We implement low and high-end telephony solutions that incorporate voicemail, auto-attendants, voice conferencing, and collaboration, as well as options for reselling voice services and call accounting packages. This helps you generate revenue while offering residents and patients enhanced telephone services. Our solutions also include advanced wireless telephone systems and Wi-Fi based systems with proper Quality of Service (QoS) roaming features and follow-me features. There is an ever increasing need to ensure patient information is kept secure and confidential at all times. Standard text services pose security concerns as it allows messages on devices to be read by anyone. Houle mitigates these security concerns by offering secure text messaging and alerts without disrupting workflow. From patient-to-staff and staff-to-staff communications, we offer secure texting, voice calls, and Electronic Health Record integration into your smartphone application that works on iPhone and Android devices. Patients can text message healthcare staff when they seek health information and/or services. Healthcare staff can send patients reminders, notifications, and tips via text message; messages that can be sent to a patient or to a group of patients, intermittently or on an automated schedule. Staff can easily communicate and collaborate amongst each other, sharing essential information and getting critical answers. Deter criminals. Prevent theft. Protect your residents and staff. With a video surveillance system, you can see, respond, intervene, and mitigate risks if and when they arise. While anybody can mount a camera and plug it in, few have the expertise to optimally configure the camera settings and network security to ensure a long-lasting stable video surveillance system that cannot be hacked or tampered with. Houle’s technicians are highly trained to install and service small, medium, and very large complex tamperproof CCTV systems. 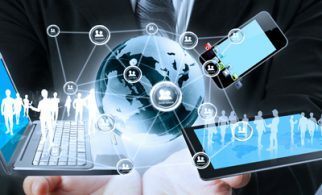 We have teamed with the industry’s best providers of network switches, routers, and security firewalls, as well as the best-in-class managed 802.11 Wi-Fi access points, WAP controllers, and site survey utilities to assist you in experiencing the most efficient and cost effective networks for your systems and operational needs. Our radio design experts can design a proper Distributed Antenna System (DAS) for rebroadcasting advanced networks such as E-Comm radio and cellular services to ensure that your facility has full coverage and no dead zones. Keep your facilities safer and enable your staff to keep track of patients and residents who could be at risk of hurting themselves. Our wander prevention solution alerts your staff immediately if patients or residents try to leave the facility or wander into restricted areas. Whether you are looking to protect residents with Alzheimer’s and dementia, safeguard at-risk patients, maintain control of mental rehabilitation patient locations, or protect valuable equipment from theft and pilferage, our team will work with you to find a solution tailored to your needs. We offer both stand-alone products to fully networked versions. Our cost-effective stand-alone version includes alerts of wander alarms, local door alarm and local door bypass/cancel, local loiter prevention sounder, and optional system annunciators and interfaces. Our network version has additional features including staff alert of the specific person/tag that generated the alarm, supervised equipment, door history reports, wanderer/tag history reports, and staff response history reports. We also have experience in elevator-installed wander prevention solutions. Improving workflow can eliminate waste and ensure that your healthcare facility is running as efficiently and effectively as possible. With Houle’s workflow solutions, we can help you enhance clinical workflows and reduce paperwork through seamless integration and process and document automation. Let us help you and your staff make better and faster decisions for better clinical performance. Some members of our team holds the Healthcare Construction certification. This certification, issued by the Canadian Healthcare Engineering Society (CHES) in partnership with the American Society for Healthcare Engineering (ASHE), showcases our commitment and desire to improve the awareness, knowledge, and understanding of the healthcare construction environment, thereby improving the quality of patient care. "I am writing this... to recognize Houle Electric for their excellent work in replacing our facility’s automated temperature control system. 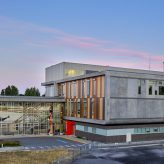 During the course of this work, Houle Electric showed diligence and dedication, completing the work on time and within budget, to a high quality standard... I have no hesitation in recommending them to other organizations looking for a professional contractor." 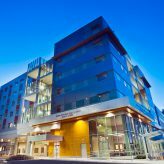 "The UBC Dentistry project was an incredibly complex undertaking. Houle was absolutely fantastic with their precision planning and working as team with many other trade contractors. I cannot recommend them enough, and I look forward to future projects with their team." 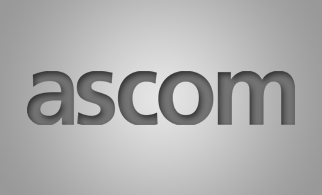 Ascom is the leading developer of healthcare communication solutions, providing users with greater freedom of movement and efficient alarm management. Its R&D focuses on innovative technologies for call systems, medical device integration, and wireless communication tools. 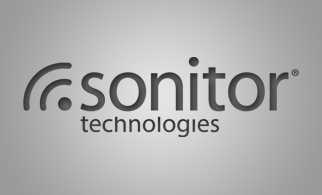 Sonitor Technologies is the leading provider of high definition, Real Time Location Systems (RTLS) based on proprietary ultrasound technology. We link the physical world with the IoT to provide real-time visibility and intelligence.